Unless some unexpected and unlikely change takes place, 2013 was your last chance to visit the Old Town Haunt Halloween Attraction in Pasadena. 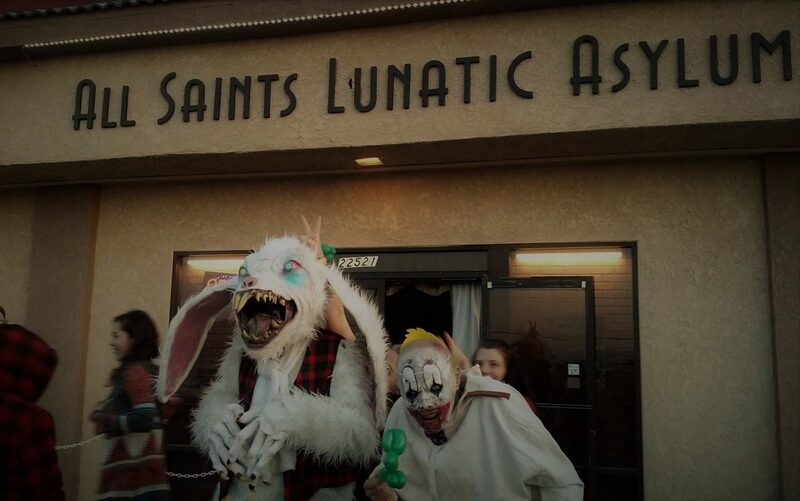 The final manifestation of this haunt, which began in 2005, is preserved in this video tour, shot during the final weekend. Why is Old Town Haunt shuffling off to the Graveyard of Lost Halloween Haunts? Headaches due to problems with city officials, which saw much of the Halloween Haunt's underground sets gutted. The actors still put on a great show, which was as much fun as ever, but if you watch this video closely, you will notice the slightly make-shift look of the decor, with sheets and draperies replacing the walls and corridors that once created such a convincingly claustrophobic atmosphere. Some of the familiar props were in place (such as the T-Rex poking its head through a break in the brick walls), but many of the old settings were missing, so you no longer had as much sense of moving through several distinct environments. Fortunately, judging by the screams of the victims passing through, the effectiveness of the haunt was diminished little if at all.